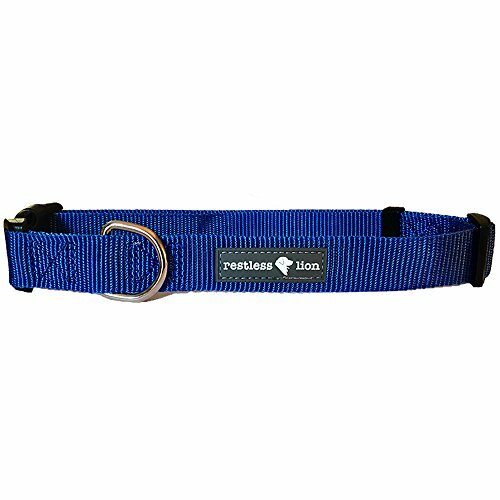 Restless Lion dog collars are the perfect combination of a basic collar: affordable and practical. It’s the ideal "everyday collar" for your best friend! Currently available in 4 bold colors. Adjustable nylon dog collar with quick-release plastic buckle & metal D-ring for tags. Pictures for each listing show samples of size X-Large collar for reference. Please check the size chart provided to confirm the appropriate size for your pet. *NEW* Restless Lion dog leashes, sold separately, coming soon to Amazon.